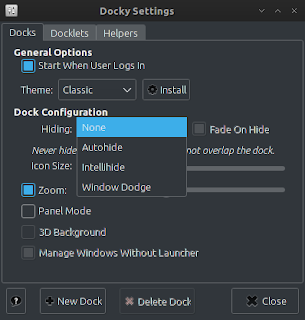 Docky is an advanced shortcut bar / dock application that sits at the edges of your screen. It provides easy access to applications, folders, or some files on your computer, displays which applications are currently running, holds windows in their minimized state and more. 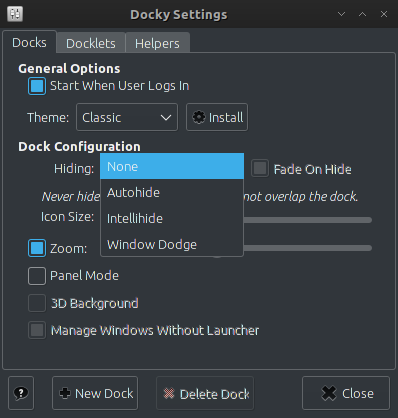 To run docky, open start menu -> Accesories -> Docky or type "docky" in the terminal. To set the position of Docky, right click on docky area, then choose settings, the docky will be able to move / drag into any position that you like. Just choose the docky bar area then move using mouse by drag and drop. Ok that's it. To make it autostart, just set it on with your current Desktop environment.